Elho Corsica Drainpipe Clicker Pot Planter - Forest Green promotes the popular concept of vertical gardening, making good use of otherwise unattractive house drainage downpipes. Vertical planting around drainpipes with decorative flowers or herbs, brings extra displays using vertical space to turn drainpipes into attractive growing columns. 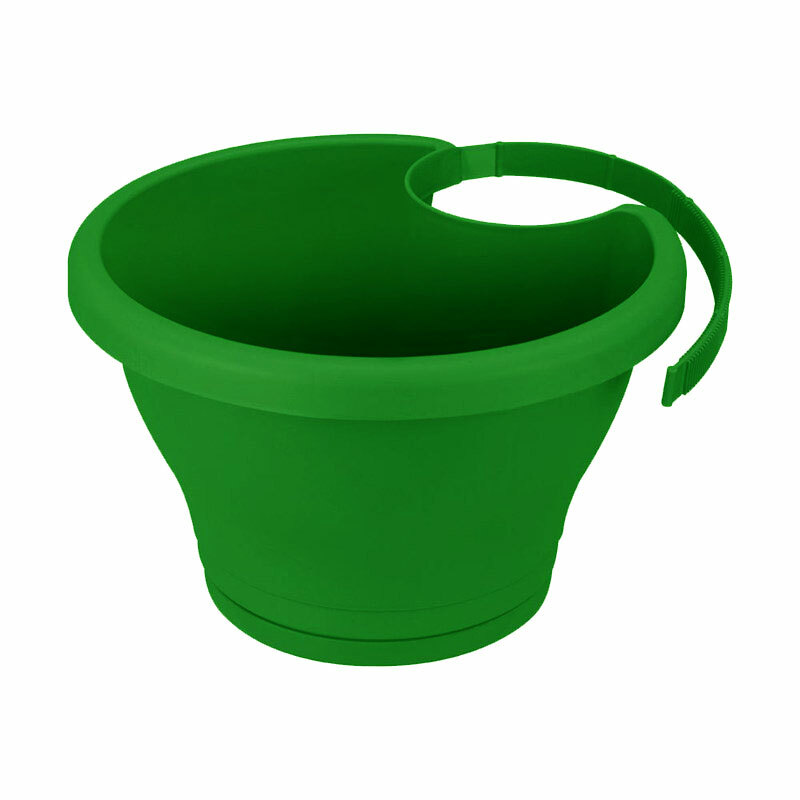 The flowerpot brings colour and joy to otherwise unsightly drainpipes around the home, complete with an integrated saucer for water retention. Unique strap system ensures the pot can be secured against 99% of all size of drainpipe. SImply pulling the strap to the tightest position then locks the basket into a secure position, quickly and easily! 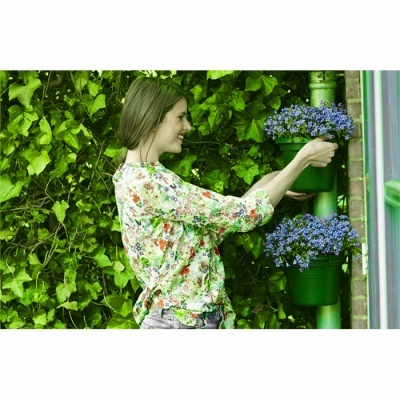 Several Drainpipe Clicker flowerpots can be placed above each other so eye level drainpipes can be obscured.